MK Erel Margalit announces he will resign from the Knesset after he failed to win Labor leadership race. MK Erel Margalit (Zionist Union) announced Tuesday that he intends to resign from the Knesset and return to his Jerusalem Venture Partners (JVP) investment fund. Margalit will be replaced by Leah Fadida. Margalit said that he decided to leave the Knesset after he lost the race to become head of the Labor party. "It's no secret that I wanted to be elected head of the Labor Party and be a candidate for Prime Minister," he wrote on his Facebook page. "The members chose differently and I respect their choice." Margalit added that his resignation is "the best way to implement my agenda in the Galilee and the Negev". Zionist Union head Avi Gabbay wished Margalit well, saying in a statement that "I regret the retirement of MK Margalit and congratulate him on his decision to promote the 'periphery' (word denoting outlying areas, ed.) and to develop new areas of growth in Israel. I spoke this evening with MK Margalit and I am pleased that despite his retirement from the Knesset, Erel intends to continue working with Labor." Margalit, a high-tech and social entrepreneur, was elected to the Knesset in 2013 on the Labor party ticket and served as a member of the Finance Committee and the Science and Technology Committee. He chaired the Parliamentary Task Forces for Economic Development in the North and the Negev, Cyber Protection and Combating Living Costs in Israel, and co-chaired the Parliamentary Task Force for Small and Medium Businesses, Integrating the Ultra-Orthodox in the High-Tech Sector, Employment for the Arab-Israeli Sector, 40+ Employment, and the Task Force for the City of Jerusalem. Previously, Margalit was the founder and managing partner of the Jerusalem-based venture capital firm Jerusalem Venture Partners (JVP). In 2005, Forbes international business magazine selected Margalit as the top-ranking non-American venture capitalist on its prestigious "Midas (The Golden Touch) List.” In 2010, The Marker Magazine named him the best venture capitalist in Israel. Margalit bet heavily on replacing former Labor head MK Isaac Herzog, hiring well known media consultant Moshe Klughaft and releasing a series of scripted videos declaring that he "is proud to be a Leftist." 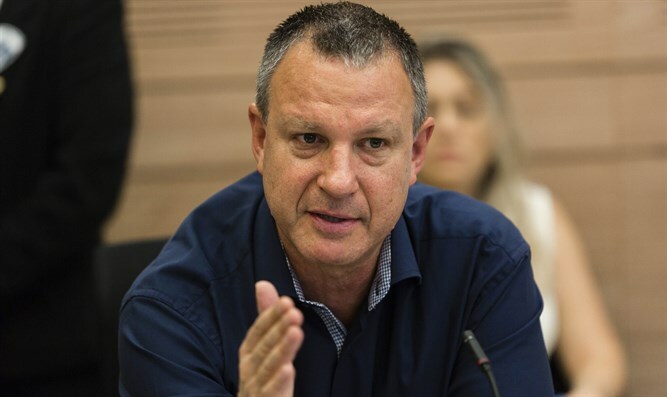 Margalit is the second Zionist Union Knesset member to resign within a week. Prof. Manuel Trajtenberg also offered his resignation last week.